In her interview the other day, Liz Steel mentioned a book I thought I'd take a look at today, seeing as I have a copy and it's one of my most prized book possessions. If you are at all interested in sketchbook journaling or art journaling or even just plain old drawing then I think you will find inspiration in this book. 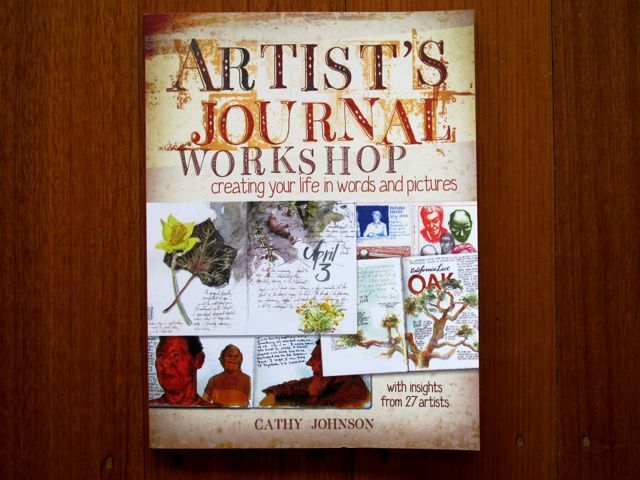 Artist's Journal Workshop: Creating Your Life in Words and Pictures is written by Cathy Johnson, a very talented and prolific sketchbook artist from the States. 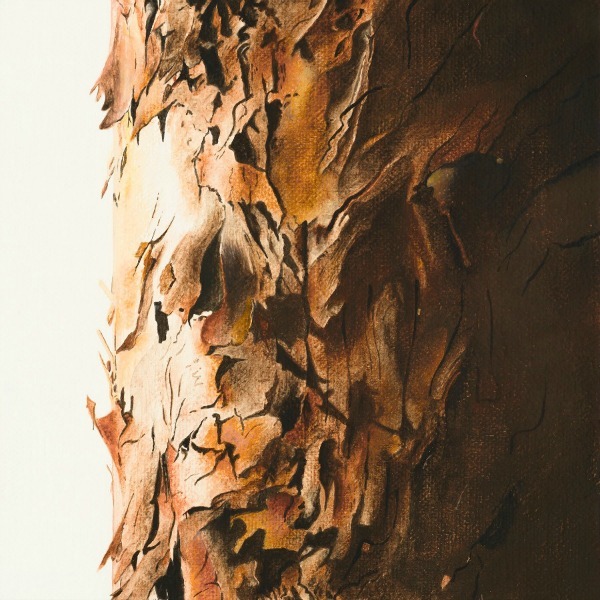 It features not only many pages from her own journals but from other artists too, such as our very own Liz Steel, and other sketchbook superstars such as Roz Stendahl, Danny Gregory and many, many more. I love it for the incredible abundance of visual inspiration from actual journals and that's enough to sell me on it alone. 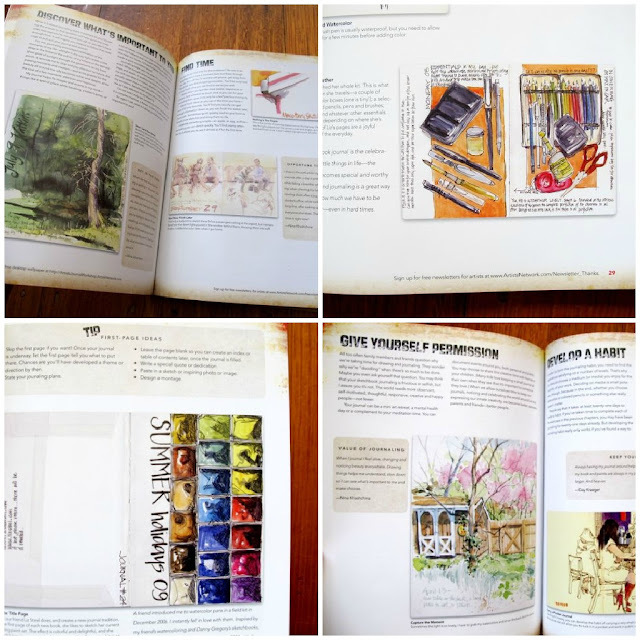 But in addition to all this sketchbook eye candy there are so many handy hints, tips, ideas, instructions and advice for starting and keeping your own sketchbook journal. Just to give you a bit of an idea of what's between the covers: there are five chapters, each one covering an aspect of journaling. Chapter 1 is 'Getting Started', which covers topics like exploring what you want to do with a journal, overcoming first-page jitters (hey, who doesn't experience that!? ), choosing an actual physical journal and how to handle making mistakes in it. All very useful stuff! Chapter 2 is all about media and taking your gear for a test-drive. 'Exploring Journals' in Chapter 3 looks at what kind of journal practice you want to take on. Is it a daily challenge you want to set yourself, are you keeping a travel journal while on holidays (lucky you!) or is your purpose to document nature or even memory? There are other options to explore too and I always get excited about journaling possibilities when I head to this chapter. Chapter 4 looks at the journaling lifestyle: making it a habit, finding time, working fast. And the last chapter wraps it up with some final tips, advice about going online with your journals and following your inclinations with your work. There's also a great resource index in the back. This is the kind of book you just wouldn't let out of your sight (no lending to friends, they won't give it back!) because it's just so darn good. Every time I open it up I think: what am I doing? It's not that hard. Get your sketchbook out! And I go to it with joy and excitement. Lastly, I just wanted to say Liz Steel's interview received an incredible response from you all so thank you for dropping by! I know I have been madly sketching these last few days, inspired by Liz, this book, and this interview with Roz Stendahl (questions by Cathy Johnson!) which I read the other day. I highly recommend it. You'll want to sketch the minute you finish reading it. Oh, and one more thing, there's also a very cool blog which expands on the book. This also contains a wealth of information and includes lots of artist interviews (which is where the one I mentioned above comes from).